August 3 -- Final aspects of construction of the new city library is advancing rapidly as city officials hope to complete the project by the end of this month. On the North "A" Street side of the new structure, workers have been completing work laying down the new red-colored pavers that will span the road area between the new parking lot (obtained on lease at $1 a year from the First Baptist Church) and the entrance to the library. 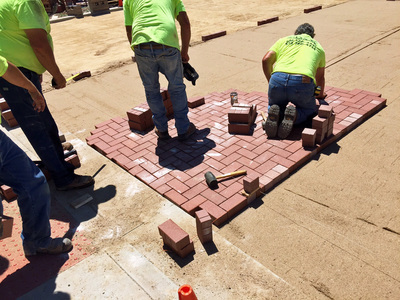 The pavers will help remind drivers on this section of "A" Street that pedestrians will be walking across that street from the parking lot to the library. 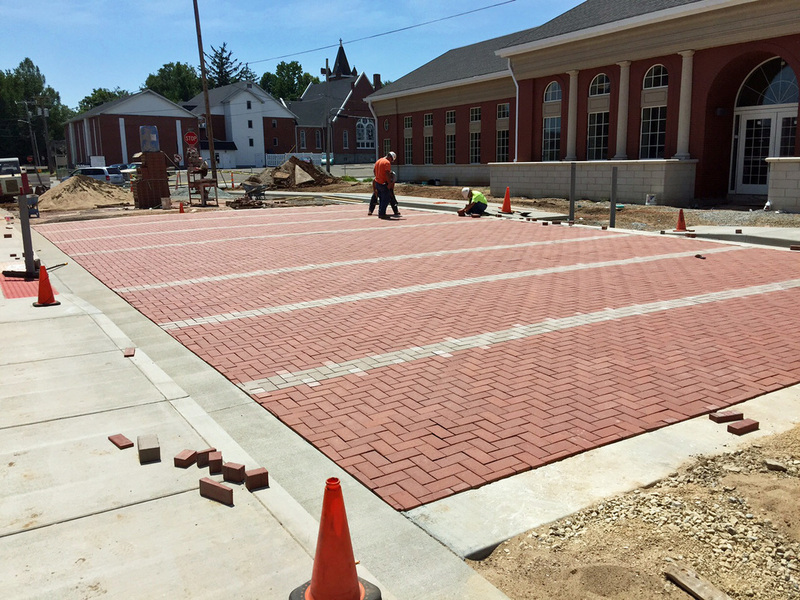 In addition, the pavers will enhance the overall appearance of the front of the library building. On July 31, workers finished preparation work on the "A" street parking lot so that it is now ready for its new asphalt topcoat.